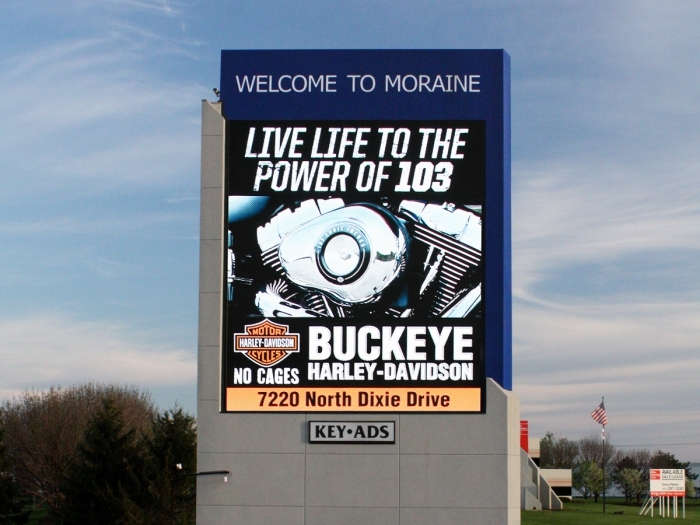 Key-Ads was founded in 1955 and has grown to become a strong force in Ohio’s outdoor advertising industry, but in 2009 they were hesitant about incorporating digital billboards. Though they were eye-catching, Vice President Nick Keyes wondered how advertisers would respond to them. "We were concerned about cannibalizing our traditional static billboards when we went digital. Nick began researching this relatively new product and eventually toured Watchfire's manufacturing plant. He spoke with others in the outdoor advertising industry and universally found praise for Watchfire's features. Durable construction, outstanding images and an easy to use content management system, Ignite Online. In the end, the choice to partner with Watchfire was a confident one. “We heard other digital billboards in the industry were plagued with hardware problems. Our clients put faith in us, so we put our faith in Watchfire,” Keyes, Jr. said. After the first digital billboard went up, Key-Ads’ advertisers noticed an incredible effect on sales. Keyes, Jr. thought a digital billboard would bring a strong return on investment for advertisers, and it didn’t take long to be proven right. One annual festival doubled attendance and increased income by a third, because 70% of attendees saw festival advertising on the billboard. A local heating and air company had such an increase in service calls that they asked to temporarily change their offer until they could fulfill the flood of inquiries. Keyes, Jr. was able to make the change quickly to give the company a break. After adjusting to the increase in business, the company eventually bought more ads. Key-Ads advertisers appreciate the flexibility of the digital medium. Advertisers who need to change ads often find that digital boards are a better fit, so cannibalizing the current customer base was not an issue. “We found there was a new set of clientele coming in that we weren’t previously doing business with. The digital boards have exposed us to a new set of advertisers. That was awesome,” said Keyes, Jr.